inBay's idQ Enterprise provides a passwordless authentication solution that's as easy to use as taking a picture with your smartphone. This module provides an integration of inBay's idQ Enterprise with ForgeRock's Identity Platform. 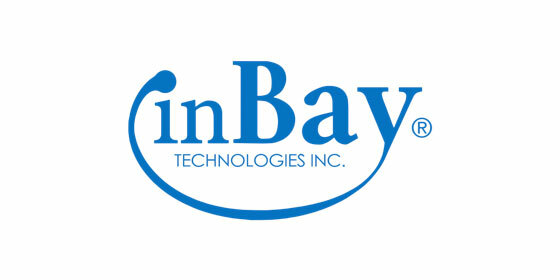 Contact sales@inbaytech.com to learn more or sign up today. 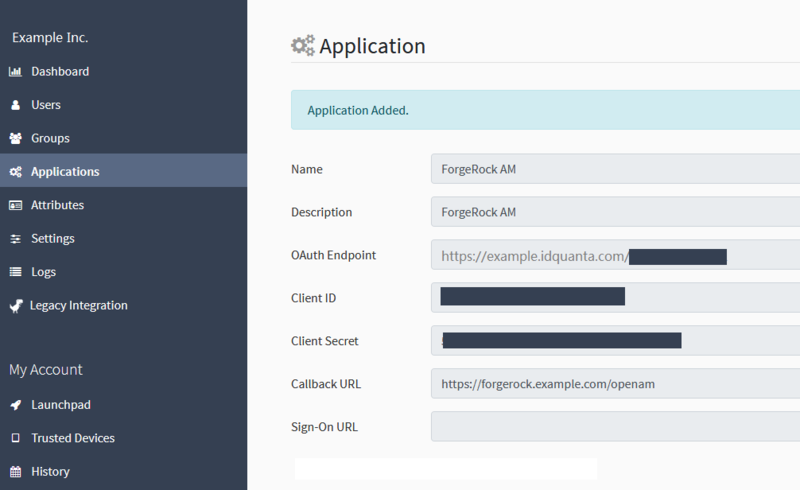 Copy the idqEnterpriseNode.jar file into the web-container/webapps/openam/WEB-INF/lib directory of the ForgeRock AM deployment and restart the web container. 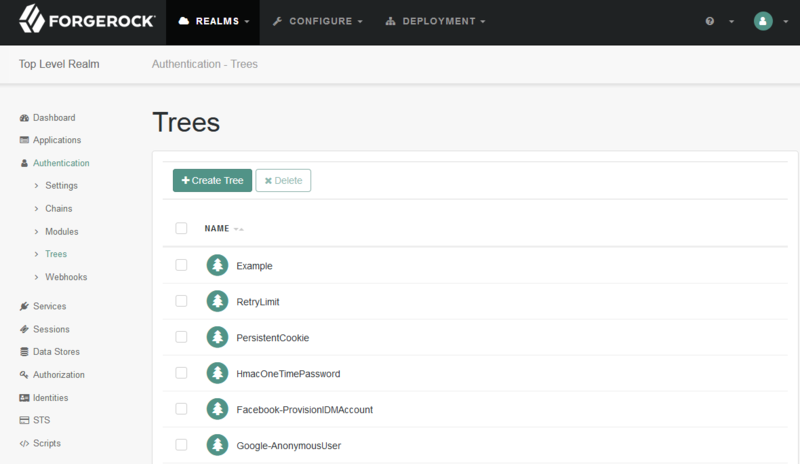 The idQ Enterprise Auth Tree Node will then appear in the authentication trees components palette. 1. Log in to your idQ Enterprise Portal (https://<your-organization>.idquanta.com) as a user with administrator privilege. 3. 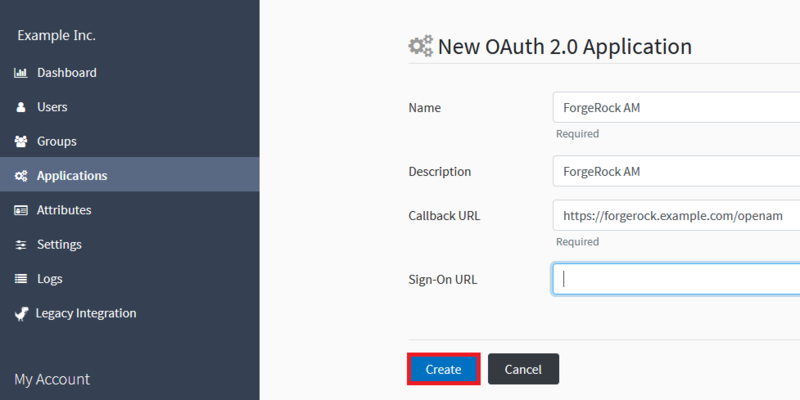 On the New OAuth 2.0 Application screen of the idQ Enterprise Portal, enter values for the Name and Callback URL (https://<your_ForgeRock_site>/openam) fields. You may optionally supply a Description. Leave Sign-On URL blank. 5. Upon successful creation, the Application Added screen will be shown. 6. Note the OAuth Endpoint, Client ID and Client Secret shown here. They will be required in the configuration of the ForgeRock AM node. 1. 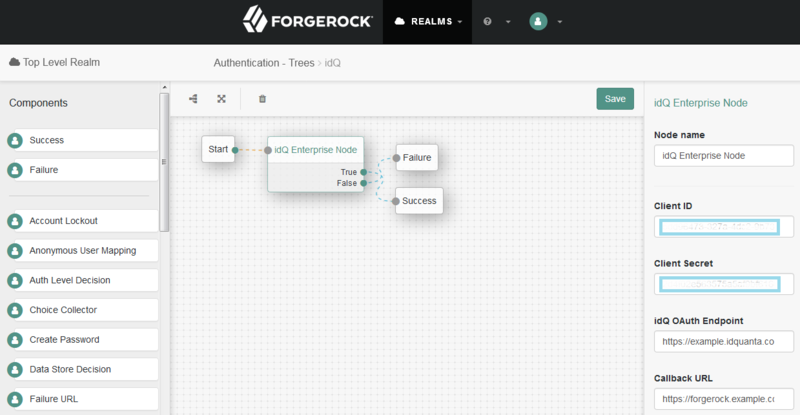 Log in to your ForgeRock AM console and create a new Authentication Tree. 2. Set up the following configuration for the tree that was just created. 3. Enter the Client ID, Client Secret, and the Callback URL from the OAuth application previously configured in your idQ Enterprise Portal. 1. Access your newly created authentication tree at https://<your-forgerock-site>/openam/XUI/#login&service=<your-tree-name>. 2. 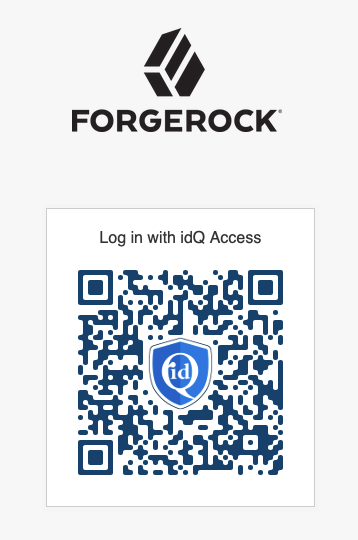 To log in, scan the QR code using your idQ Access app.